Merriam-Webster dictionary describes grace has unmerited divine assistance given humans for their regeneration or sanctification; a virtue coming from God. Please note 3 key words – unmerited divine assistance (help). One of my passion is to see everyone achieve their full potential in life. I believe every one of us have a God given gift/talent, unique and for the purpose of destiny. With my business and career management training and experience, I help people identify their area of weaknesses and poor performance, and how they can turn these into strength. As usual, the world system has programmed us one way but the Lord wants to reprogramme us to the original authentic state. We must always bear in mind that walking in the spirit is in total opposition to how the carnal mind operates. Our weaknesses would be irrelevant if there are no perceived measuring standards. We compare our spouses and children with each other, and conclude that one is weaker than the other. We compare our jobs, businesses and achievements with each other, then conclude which is better and stronger. But if we were to go back and complete these assessments with destiny in mind, what would our conclusions be? So, if I may ask, ‘how does God deal with our weaknesses?’ He doesn’t, he accepts them; our imperfection, brokenness and sins. If we learn to put all our weaknesses under grace, then, we set in motion the unpredictable power of grace in our lives. David, a shepherd boy became the anointed king; Peter, a fisherman was chosen to lead the church; Esther, the orphaned girl became a queen; Rahab, the harlot was noted in the genealogy of Jesus, the list goes on. 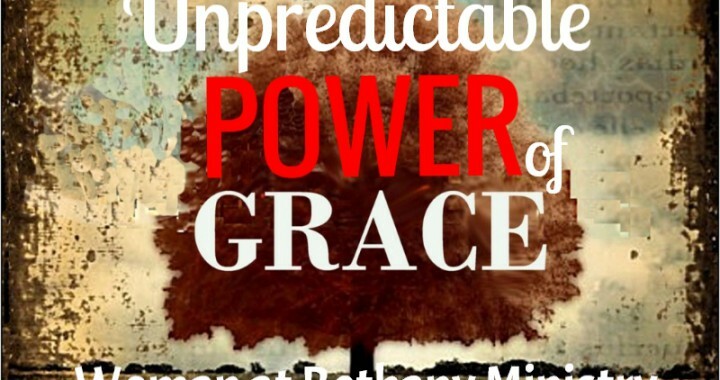 Each one of these patriarchs understood the unpredictable power of grace. How is it that God’s power is made perfect in weakness? The Lord knows our limitations in the flesh; he also knows the workings of his limitless power which he has given us through the Holy Spirit. The grace of God is active in the life of every believer; it is evidenced in weakness. Start your day by asking the Lord for grace and end the day asking for more grace. May the grace of our Lord Jesus Christ be with us now and forever more. Amen.